As of last Tuesday, Bronx-native Noelle Santos reached her crowdfunding goal of $100,000 aimed at bringing “The Lit. 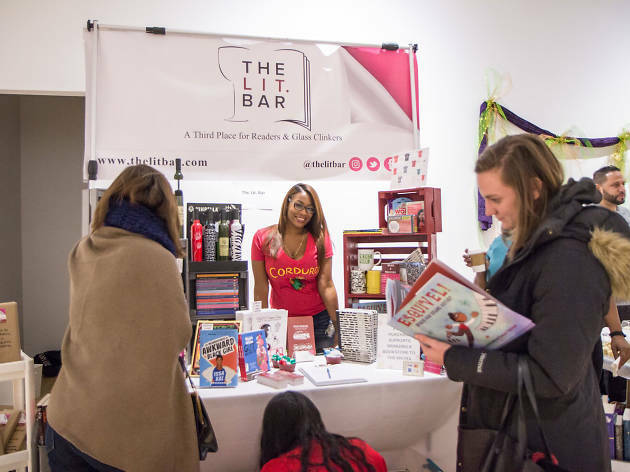 Bar”, an independent bookstore and wine bar, to the South Bronx. This achievement is made especially significant in that as of December, The Bronx lost its only bookstore when Barnes and Noble closed its Bay Plaza Shopping Center location. News of the closing prompted over 3,000 residents to protest, of which Santos was one. While the protests did not prevent the shuttering of the massive bookstore chain, they did illuminate a need within the community for a communal, literature-oriented space, a need to which Santos responded. The opening of the bookstore will provide a place to convene, read, relax and share to a neighborhood that is home to 1.4 million people and 10 colleges. “The Lit. Bar”, in Santos’s words, refers to “Lit like literature. Lit like drunk”. It will feature wine, coffee, cider, small bites and a designated area for children called “Kiddie Liter”. As of Feb 23rd, with 23 days left to go, the campaign surpassed it's startup goal, making the dream a tangible reality. But, the project can always benefit from additional funding to support it's longevity, programming and outreach. As Santos told us, "Every dollar we raise beyond the goal is a dollar The Lit. 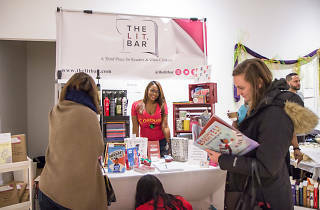 Bar doesn't need to take on in start-up debt." The page will continue accepting donations until March 17th. Tiered donations offer the opportunity to host an event, sponsor a shelf, gain VIP membership, and receive signed copies of select books. You can make a donation and read about the backstory on the Indiegogo page.